I first starting writing in 2007. My first full length book was a story titled ‘Paladin Conscript’ that I originally set out to write as a novella. Then I challenged myself to see if I could turn it into a novel. Maybe one day I will release that novel to the public. 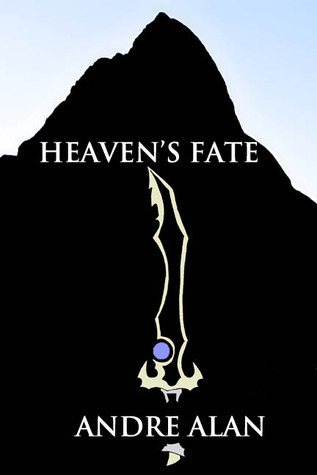 Tell us a little about your fantasy novel, Heaven’s Fate. Who or what inspired the title? Heaven’s Fate is about a young man named Thame Elliot who lost his parents. He grew up with a lot of anger and insisted it was a government conspiracy. His father’s martial arts classmate, Autumn Augustus took in the young orphan boy and raised him. She is now the empress of the human continent Eioda. 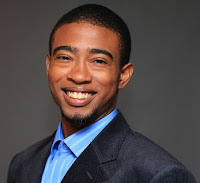 The inspiration for the title came from the fact that Thame Elliot will eventually carry the fate of the entire world and all of the races that live there. Thame must learn to become the messiah in order to stop his nemesis, Miles Xavier from casting a spell that will bring the underworld up to dominate the world of Threa, where the living reside. With the help of his legendary mystical weapon that his father once wielded, the Tundra Sword, Thame will control the fate of everyone that has ever lived and even that of the dead. Sum the main character Thame up in three words. What do you like best about writing fantasy novels? Seeing my ideas take shape and transforming a blank piece of paper into a mystery world that no one has ever seen before. Plus when you go through the different editing phases you get to know the story inside out and start to have a deeper connection with the characters and the world that they inhabit. As random as the weather, sometimes I start writing at 1AM only to finish at 5AM but then again sometimes I will start at Noon and keep going until 8 PM. It really varies based on how I am feeling that day. I try to stick to a weekly writing quota as opposed to a daily one. No, I don’t necessarily NEED quiet to write but sometimes I do prefer it. I also like to write with music playing softly in the background as well since it helps to make the time fly by. I feel as though music helps to put me in the mood of writing and helps me to convey certain feelings. Three of my favorite authors: R.A. Salvatore, James Patterson, Robert Jordan. While three of my favorite books are: ‘The Eye of the World’ by Robert Jordan, ‘2001: A Space Odyssey’ by Arthur C. Clarke, and ‘The Holy Bible’ by Various Authors. To be perfectly honest, I am not really sure. But I guess what I would love to hear is that my novel somehow, in some way, shape or form connected with the reader on a deeper lever and took them on an unforgettable journey. I just hope that my book does not waste anyone’s time and that it is entertaining. My Super Silly Question: Since you like video games, Snowman (cookie) versus Gingerbread Man (cookie) in Call of Duty...who would be the victor? LOL…, okay, this is a hard one, but I think I would have to go with the Gingerbread Man. He seems like he is a bit tougher, plus he has more of a soldier type of build. Diantha: Plus Gingerdude has the spice factor going on, right? Thanks Andre! It's been fun! Thame Elliot, an expert Rietsu martial artist, is consumed with thoughts of avenging his father's death and rebuilding the legendary Tundra Sword. Little does Thame know that his aunt, the first empress of the human continent, Eioda, Autumn Augustus, has set the nation on a course that can only lead to war with the Orcs. The mystical inhabitants on the planet, Threa have been plunged into a struggle for the ancient artifacts buried in the mysterious, Consummate of the Trust. Not only that but his aunt is hell bent on marrying him to a corrupt military admirals daughter while Thame's spiritual guardian, Masaya from the Astral Plane tries to manipulate him in order to keep the heavens from falling apart. The fate of mankind rest in Thame's young hands but does he even want the responsibility that goes along with being the chosen one. Or will Thame's spiritual twin, imbued with dark powers granted by the evil one, assassinate him before he can fulfill his destiny.